Aiming to open either later this fall or at the beginning of the new year, UM-Flint’s Recreation Center’s inclusive locker room will be available for anyone that may want a private changing space. “The Rec Services staff is very excited. This long-awaited facility feature is finally coming to fruition,” said Theresa Landis, director of Recreational Services. Once completed, the inclusive locker room will be available for all to use on a first-come, first- serve basis. However, no need to worry–the pool will still be accessible to all for the remainder of the construction. Despite it being a small addition, the new walkway serves as one of many steps being taken by the university to make its facilities accessible to all of its patrons. 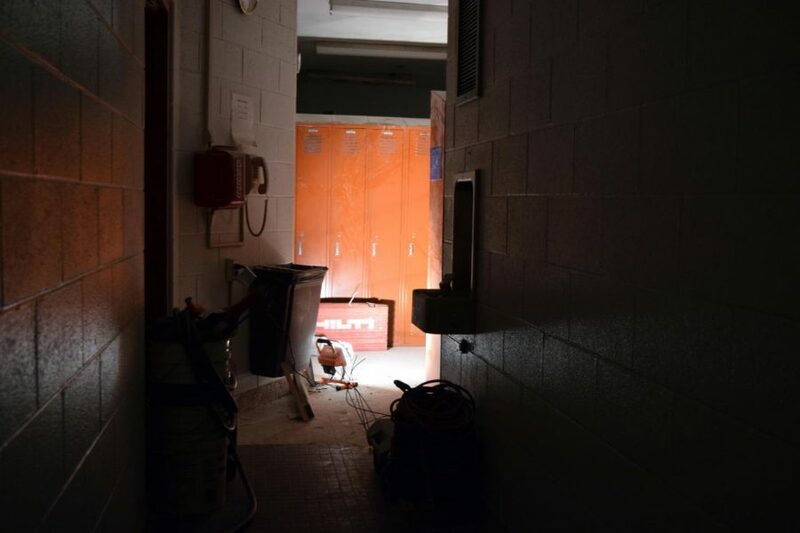 As a result of the construction, a new route to the pool has been made going through the female locker room and all showers are currently out of order. Because of this, the Rec Center has stopped enforcement of the policy requiring swimmers to shower before entering the pool. This policy will be back in place once construction is finished.